discordia: Make 3 Cool Science Toys! I spend a good amount of my time looking online for sciencey educational and fun activities, to use in my work as an educator. I always end up learning something new, and every now and then I discover a little gem somewhere in the blogosphere that I get really excited about. 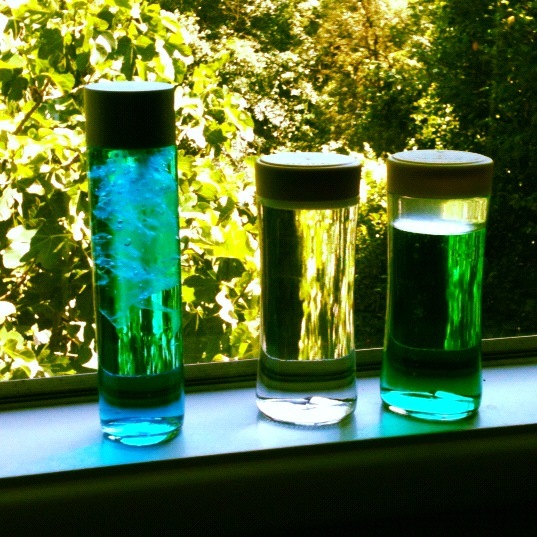 These are three DIY science toys that I've stumbled upon over the years. They're really cool, I just kinda wanted to make them for myself. All three of these projects are made with things you can find at home and are basically free. I tend to keep any plastic containers and glass jars after they have been emptied of their original contents out of habit so I was lucky to have a few lying around. A bit of advice: be absolutely sure you wash anything you want to use before you use it in a project. Make sure there are no food or drink particles left in your containers, and disinfect the mouth areas of reused bottles with alcohol. Since all of these activities use water in the containers, even the tiniest bit of bacteria can grow in them and then they are biological science projects and also pretty nasty. Caleb and I went to OMSI a while back and I saw this cool toy in the gift shop that simulated a tiny tornado made out of bubbles in a jar. It was like $10, though, so I opted for two mini metal puzzles instead. That was totally the right choice, too. Just a few days later, I found a DIY blog post on how to make exactly the same toy for pretty much free, since I already had all three of the supplies at my house. Thank you, Ellie Moon! Empty and clean water bottle or clear glass jar with a tightly fitting cap or lid - I think bottles or jars that have smooth surfaces - no etchings of molded designs - work best for these activities. The bottle I used is an iced tea bottle with the plastic label removed. It's really as easy as you're probably thinking. Open the jar or the bottle, and fill with tap water. In some places, when you fill a cup with hot tap water, you get all these tiny bubbles, so I usually use cold tap water in projects. Fill the jar to just about 1/2 to 1 inch below the mouth. Then add just one to two drops of dish soap. Tightly close the jar with it's lid and you're done! Give the jar a good shake and you'll see a cyclone form out of the soap bubbles inside. I did one earlier with colored water, but the tornado was harder to see, so this time I just went with clear water. 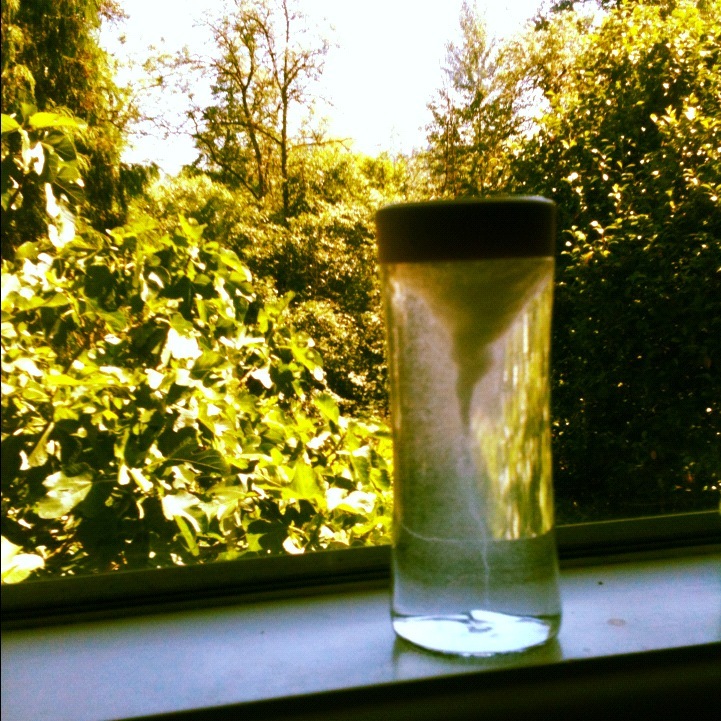 Over time, water vapor might escape out of the jar, especially if you leave it on a windowsill in the sun. All you have to do is add more water. If your bubbles seem to dissipate too quickly or not make a thick enough cyclone, add just the tiniest bit more soap. Tornadoes can form in a few different ways. Usually wind shear (winds blowing in different directions at different altitudes) can create supercell tornadoes, the most common and the most dangerous kind. Tornadoes are invisible (because they are made of wind and wind is invisible). What you see when you see a tornado are water droplets (that make up a condensation funnel), and dust and debris that get caught up in the wind. Empty and clean water bottle or clear glass jar with a tightly fitting cap or lid - I used an empty Voss water bottle. I got the painted label off with a tiny bit of sandpaper. Pretty much the same as the last project, fill your bottle with water. This time, fill it almost to the top, but leave space so that when your jellyfish goes in, it won't overspill with displaced water (remember that word). Color the water with the food coloring. Just one drop of blue for this bottle gave me the perfect blue - not too murky or dark so I could still see the jelly in it. It might also be cool to put in sparkly glitter at this point, but I didn't. Now make your jellyfish. Use the scissors to cut out a rectangle from the produce bag. I chose a part of the bag with no writing or design. Next, pinch the plastic together about 3 inches from the top, or at least in a place where one side is longer than the other. Make the top of the jellyfish from the short side by scrunching it together and fixing it with a small rubberband. Now make the tentacles of the jellyfish my fringing the longer side. The fringes don't have to be equal; in fact, they look cooler when they are different lengths and widths. Now you can put your jelly in its new home. Push the top side in first, then stuff in the tentacles after it. This helps things stay untangled. If there is still room in the bottle, top it off with more water so that you have as small a bubble as possible. Put the cap or the lid on the container and voíla! Instant jelly Nirvana! This project is a really good example of buoyancy. When something is buoyant, it floats... boats float, planks of wood float, and hot air balloons float. Buoyancy, however, is not about weight, so much as it is about density and displacement. When you look at a small hand-sized rock v. a ginormous cruise ship, you can ask which is heavier (the cruise ship, likely), but the answer isn't the same as which floats better. The rock is really dense, all of its mass is concentrated into a small volume. The ship however, has greater mass, but also much greater volume (it's ginormous!) and it can distribute its mass throughout this volume to be less dense. The huge cruise ship can float because the bottom of it is shaped to displace (remember that word?) more water than its weight (which is distributed because it is less dense) so that the water that is under it can push up on it with greater force than the boat itself is pushing down (or rather, gravity is pulling it down). As for our jellyfish, when you turn the bottle over and watch it "swim" around, you'll notice that the jelly always wants to be at the top. this is because the plastic is so thin and it has such low density that it is super buoyant. All this actually describes Archimede's principle, which is some pretty sophisticated stuff for just one little plastic jellyfish. If you like that, check out the Cartesian Devil, another at-home project that is super duper. A classic, although I don't really like the ocean in a bottle idea, because it has very little to do with the ocean or waves at all. So I'm renaming this one "Unmixable Bottle". Fill your bottle with water to about 4 - 5 inches below the mouth. Color the water with whatever color you like. I used a drop of green and a drop of blue (if you're doing this with little kids, this could be a good opportunity to talk about mixing colors). Mix it all up in the bottle. Then squirt in some oil. I used baby oil because it's clear - vegetable oil has a color of course, it was also super inexpensive. I got a bottle from the Dollar Tree that worked perfectly. Squirt in as much oil as you'd like. You want to get at least a somewhat thick layer of oil on the top of the water in the bottle. My preference is to put in as much oil to fill up the whole bottle so there is almost no bubble at all. Then tightly close the lid and you've got your Unmixables! Thar be science in these waves! 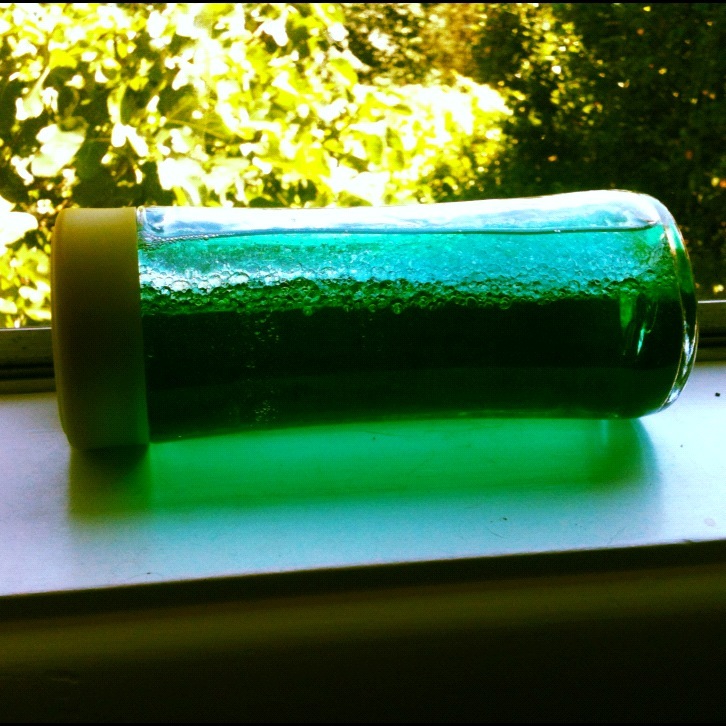 Ok, I admit it, it does look like there are waves in the bottle, but that's not what the bottle is really demonstrating. What we are actually looking at is another example of density and buoyancy, as well as an example of molecular polarity. Water and oil do not mix, which you can see when you shake the bottle and let it sit. It may take a while, depending on how shakey you got, but eventually the oil will separate from the water and float to the top. It stays at the top because oil is less dense than water, but this doesn't explain why they don't mix. Water molecules are polar, which means that they have a positive side and a negative side and several molecules together will stick - just like magnets will stick to each other. Oil molecules are non-polar. Because of these differences in personalities, oil molecules are more attracted to oil molecules, and water molecules are more attracted to water molecules. Learn more about this at Science Project Ideas. You can add a few fun things to your bottle like tiny float toys or glitter. 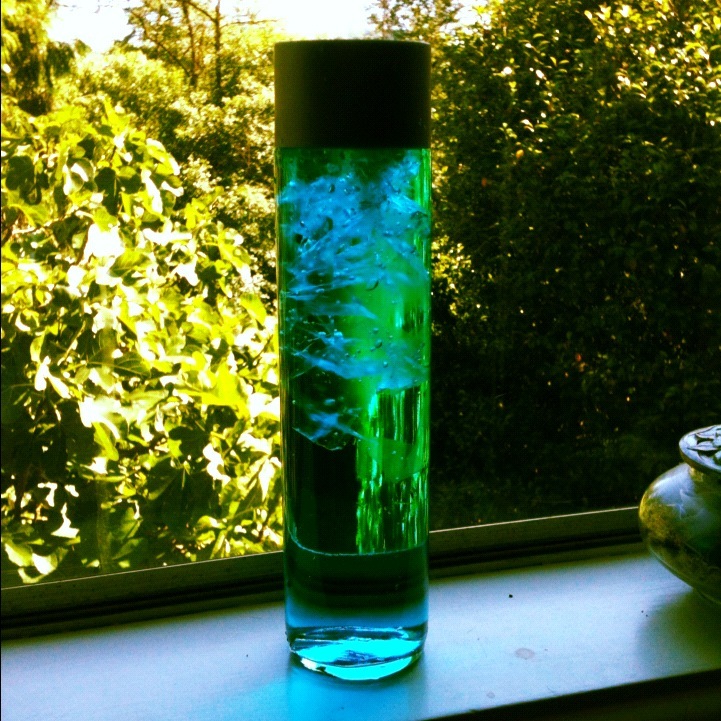 You can also make an at-home lava lamp with the bottle by putting an Alka Seltzer tablet inside. When the tablet fizzes in the water, it sends water bubbles up into the oil layer. If your water is colored a dark color, you can see the water bubbles in the oil float up, and then come back down. Have fun! If you make any of these toys, please comment, I'd love to know how they turn out. 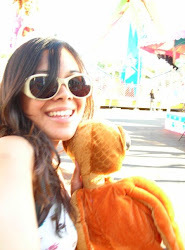 Also, visit those blogs I linked in the text, they have some great kid-friendly projects! Cool projects! And now you can grow your own TickleMe plant indoors and watch how the leaves fold like crazy when you Tickle It!